After using (and loving) my trusty iJOY Captain RDTA for months, it would take something special to draw me away from my go-to RDTA. 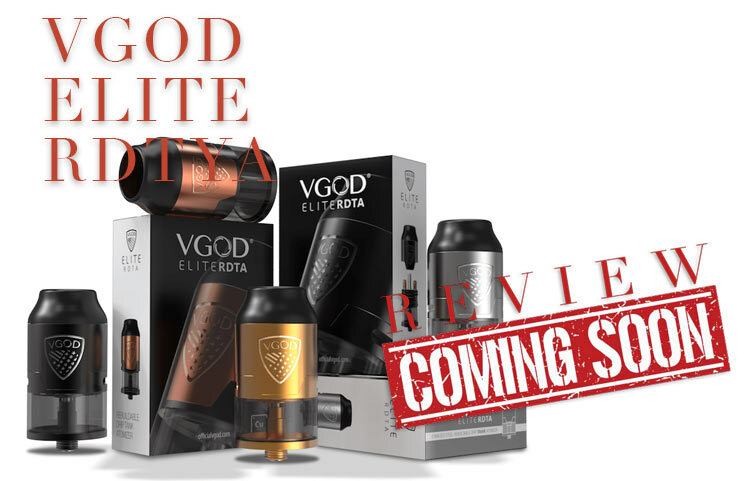 However, the VGOD Elite RDTA has our attention for one very big reason. 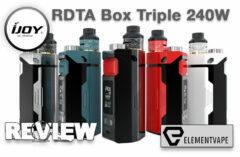 On the surface, the Elite RDTA seems like a standard top-mounted RDTA format – which isn’t a complaint. The vacuum-wicking format, combined with side airflow control and a solitary top-fill port, is a proven design that offers users the unparalleled flavor of an RDA, with the roomy capacity of a tank system. If it ain’t broke, don’t fix it, right? What has our attention most is the Elite RDTA’s spacious, user-friendly build deck, which has massive coil slots to accommodate virtually any wire thickness and coil diameter. These slots are wide open, with large screw caps that secure the wire to the atomizer deck by basically covering the post. The screw caps themselves look as though they could be operated without a tool, though a multi-tool is included in the box. 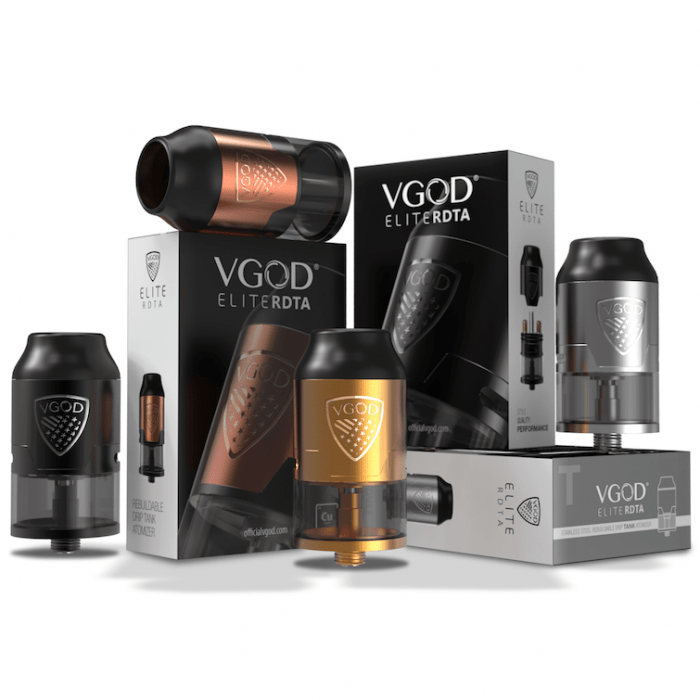 But it appears VGOD is trying to make rebuildable atomizers as convenient as possible, and a tool-free format would go a long way toward achieving that for vapers who are out and about. One thing we’re eager to see is how well the VGOD Elite RDTA’s massive terminals and screw caps will handle thinner wire and more traditional builds. Though those large fused Clapton coils will have plenty of “tooth” for the screw cap to secure them, a standard 26-gauge Kanthal build might be a little slippery and elusive than the large mechanism was designed to handle. VGOD added center-positioned airflow slots approximately halfway up the Elite RDTA’s 46mm chassis, and look to be designed for tremendous cloud production. We have yet to see if there’s predetermined AFC settings, or if it’s a simple, free-flow setup, but either way, VGOD is touting substantial vapor production and we’re not inclined to argue. 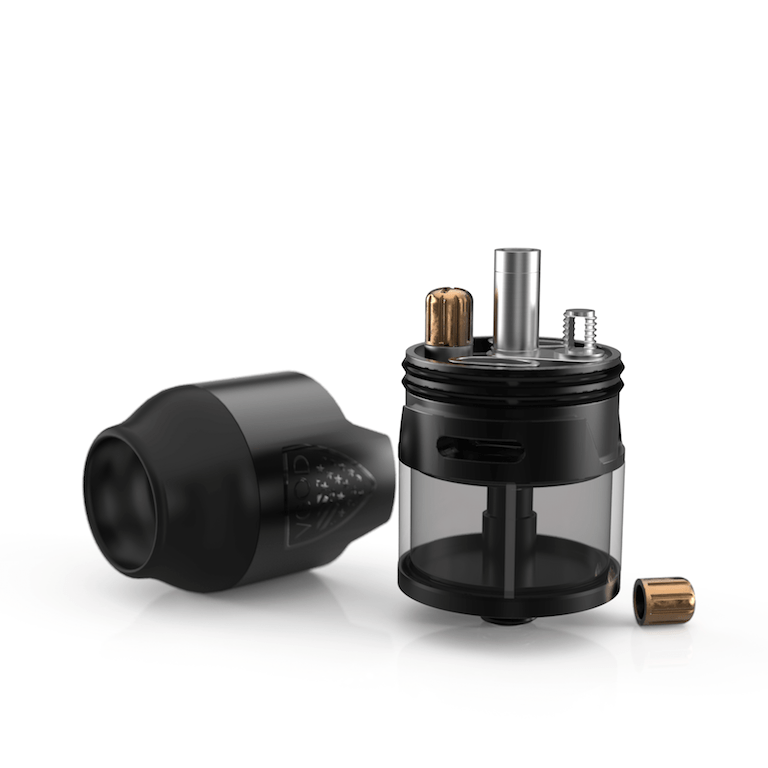 One concern we have about the preview images of the VGOD Elite RDTA is the mouthpiece/drip-tip, which appears to be fixed, with no possibility of other options. 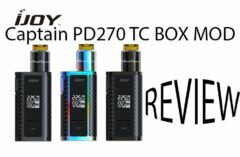 While the majority of the target audience might be content with this cloud-focused design, those who enjoy RDTAs for lower-wattage, flavor-centric use might find this format a little limiting. No drip-tip adapters or alternate top caps are included in the package, so we’re led to believe this is the way in which VGOD intended vapers to enjoy the Elite RDTA. At 24mm wide, perhaps the sloping wide-bore tip will get the job done, but we are (not so) secretly hoping the Elite allows for drip-tip adapters to broaden the audience considerably. 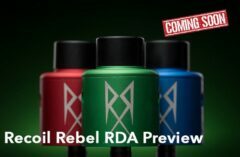 We’ll have more details when the Elite RDTA arrives this week. But we’re eager to hear your thoughts on how VGOD crafted the Elite, and whether you’re interested in getting one. In the meantime, check back soon for our detailed breakdown!